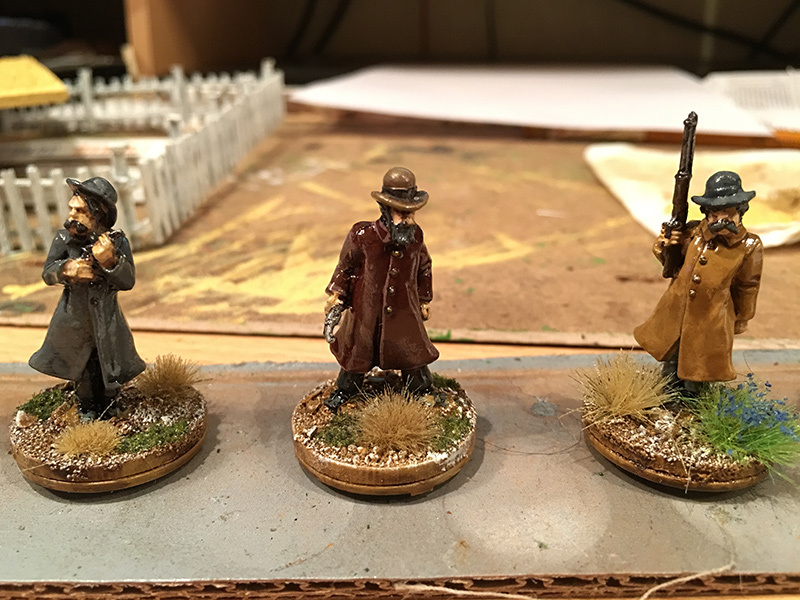 My first order of Wild West figures came from Artizan’s Wild West range. 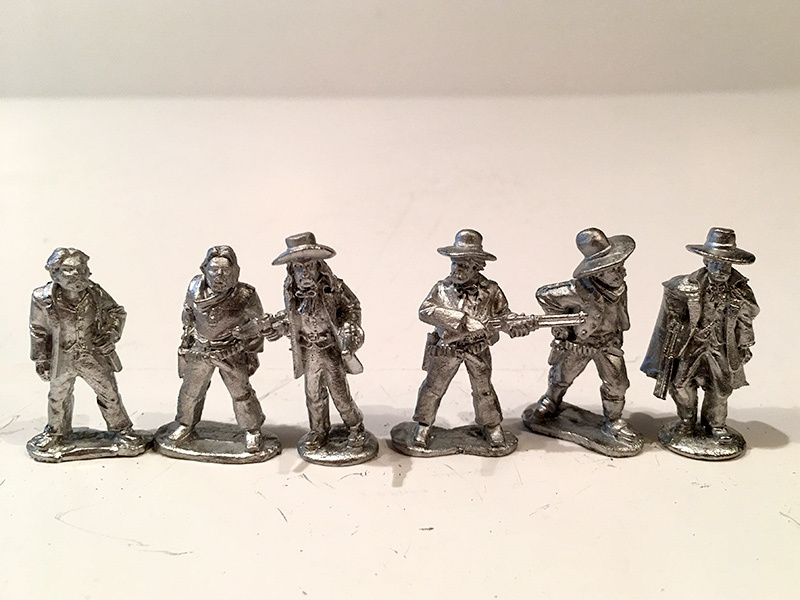 I got them from North Star Figures and opted for two packs of Pinkerton Detectives and two packs of Cowboys which included Wild Bill Hickok and Doc Holliday. 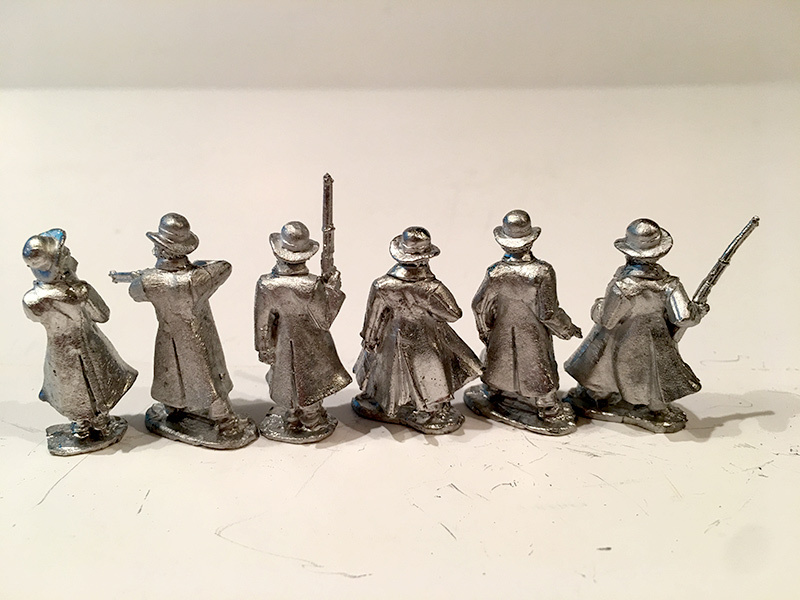 The Pinkerton Detectives are all wearing greatcoats and it has to be said, there isn’t a great deal of detail in the coats; apart from an occasional fold back, they are fairly flat. 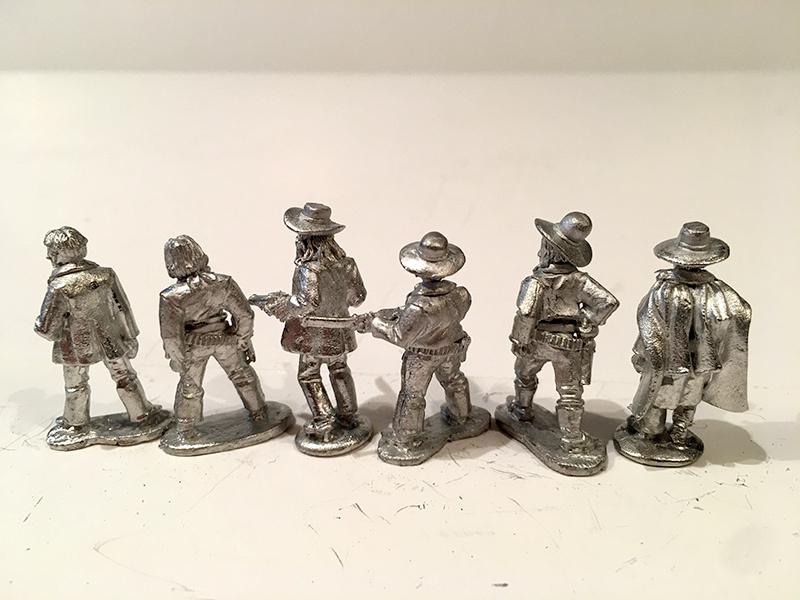 The cowboys have more detail. 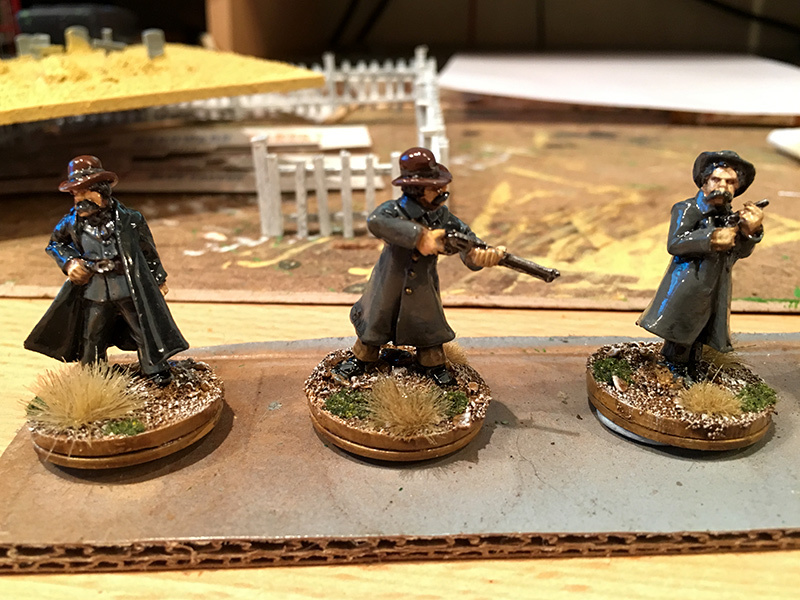 I’ve now painted up the detectives and have actually used them in a game using the ‘Rules with No Name’ which we are gradually amending as we go. 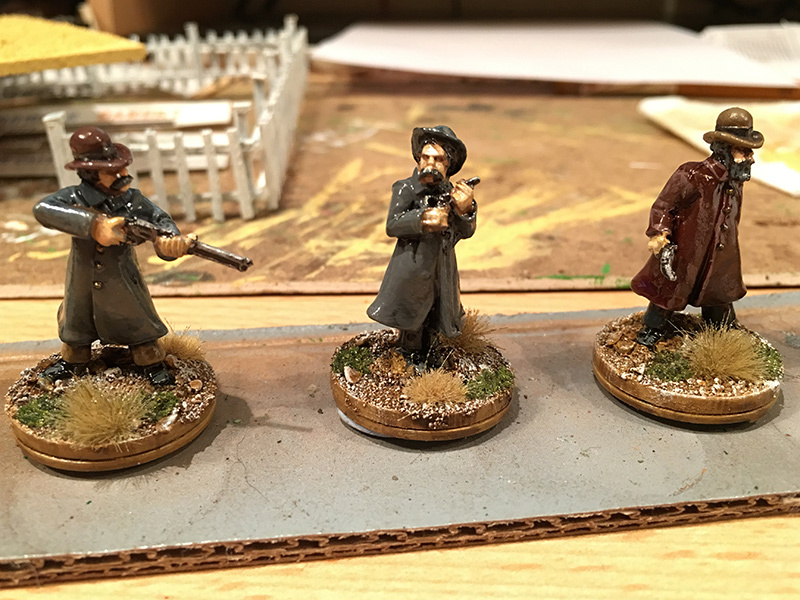 I’ve started painting the cowboys but they’ve been put on the back-burner recently while I’ve been making my expanding foam hills. 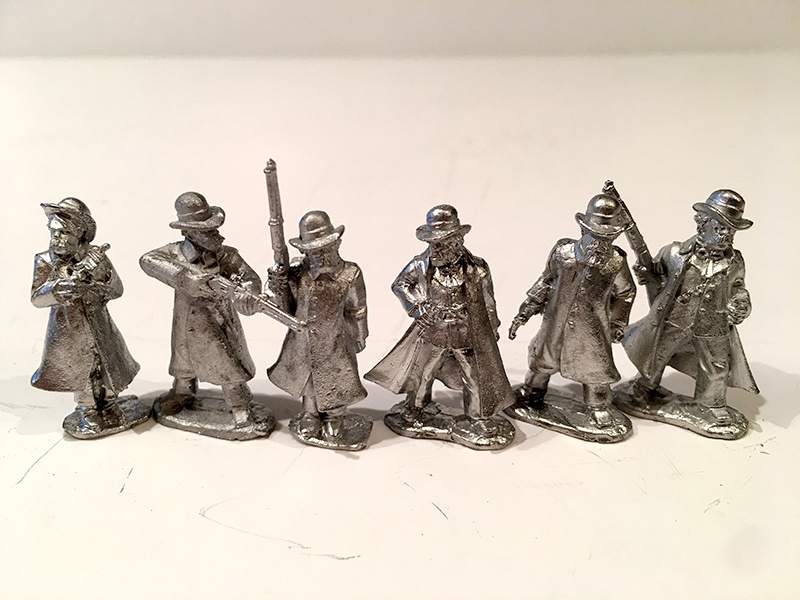 I got the figures at the North Star Military Figures website.